Specialty Press has carved out a niche in the fields of rare US prototype and proof-of-concept aircraft, and the US space program. Author Dennis R. Jenkins has been an essential element in Specialty Press's success in this area, so it seems appropriate that this publisher and author should team up again to present an excellent pictorial primer on American X-Planes. 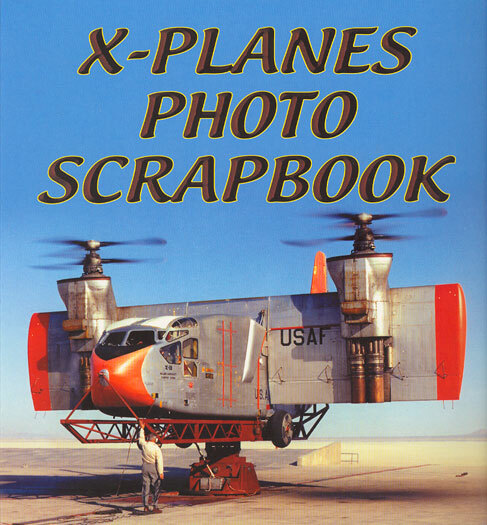 "X-Planes Photo Scrapbook" is a simple but beautifully executed summary of many of the weird, wonderful and trailblazing aerial vehicles from the late 1940s to the present day. Aircraft covered range from the X-1 in 1947 to the unmanned X-50 demonstrator in late 2003. Apart from a two-page introduction by the author, the remainder of the book entirely comprises captioned photos. These photos - 450 in black and white and 50 in colour - are well reproduced and nicely presented on high quality glossy paper. Captions are quite detailed and very informative. Modellers will appreciate this title for its broad subject matter and handy reference for a number of aircraft that are readily available in kit form. 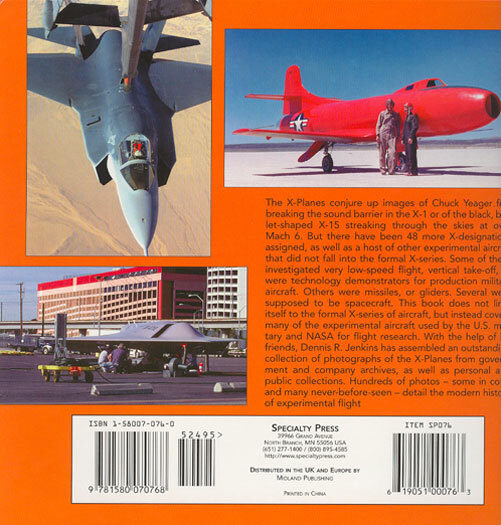 If the reader is hooked on the general subject of X-planes and rare prototypes, the publisher also has a number of excellent titles that delve into more detail on individual types. Dennis Jenkins' "X-Planes Photo Scrapbook" is an excellent introduction to the subject, and will be a useful reference source for modellers too.